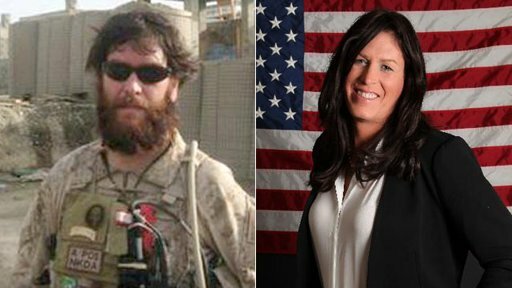 A former member of the elite U.S. Navy SEALs has come out to say she's now a woman. Kristin Beck, formerly Chris, served 20 years as a SEAL and fought on some of the most dangerous battlefields in the world, but after she left the service she realized she wasn't living the life she wanted. "Chris really wanted to be a girl and felt that she was a girl and consolidated that identity very early on in childhood," said Anne Speckhard, co-author of Beck's biography "Warrior Princess," which was published over the weekend of May 31 to June 2, 2013. Speckhard told ABC News Beck suppressed that secret for decades, however, through the trials of SEAL training and the harrowing missions that followed, growing a burly beard as she fought on the front lines of American special operations. Brandon Webb, a former SEAL who served on a different SEAL team than Beck, said that Beck's reputation in the SEALs was a good one and said she was, by all appearances, the "consummate guy's guy." But the book says that Chris "had considered living as the woman he felt himself to be for a very long time, but while he was serving as a SEAL he couldn't do it." "For years Chris had turned off his sexuality like a light switch and lived as a warrior, consumed with the battle -- living basically asexual. For Chris the other SEALs were brothers and in the man's man warrior lifestyle, even if he had wanted to entertain sexual thoughts, there really was never any time to be thinking too much about sexuality," the book says. After her retirement in 2011, however, "Now seemed the right time to go for it -- to make his body match his identity -- or at least start by dressing like a woman in his regular life." Speckhard said Beck first announced her decision to friends online with the declaration "No more disguises" and the book describes her going out to gay bars in Florida as a woman. Beck is currently on hormone therapy in preparation for sexual reassignment surgery and generally wears long hair, make-up and women's clothes, Speckhard said. In the book's Preface, Beck said she wrote the book "to reach out to all of the younger generation and encourage you to live your life fully and to treat each other with compassion, be good to each other, especially in your own backyard (whether it be high school or your community)."